Construction is underway on the renovation of 388-390 Greenwich Street tower. Located at the Hudson River waterfront in Tribeca, the 1988 structures serve as the headquarters for Citigroup. 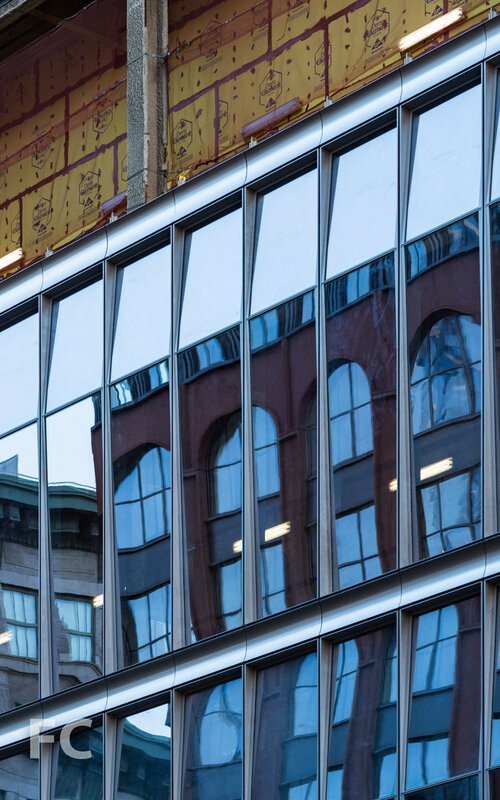 Design of the exterior renovation portion of the project is led by SOM and includes a full glass reclad of the 10-story building at 390 Greenwich Street and the partial reclad of the adjacent 39-story tower at 388 Greenwich Street. Renovation of the interiors for both buildings is led by Gensler. Architects: SOM and Gensler; Program: Office; Location: Tribeca, New York, NY; Completion: 2018.